Here it is folks! FB has a simple way to subscribe to my future workshop notices. Give it a try and let me know if it works! The card is one of many on the Artfully Sent Cricut Cartridge. The newest Cricut Cartridge from Close to My Heart. It can be found on page 13 in the handbook. I sized the card at 5.5" tall and it was a skinny 3.5 inches wide until I embellished it with a flower, leaves, and banner from the Art Philosophy Cricut Cartridge. Now it looks like a full sized card yet fits in an A2 envelope. I'll call that a win! I used the new Blossom paper pack that is in the new Seasonal Expressions 2 catalog that just started at the beginning of the month. The flip side of this paper is that beautiful "canvas" that the card is laying on. The stamp set is "Typed Note" -- the April Stamp of the Month. I really like this set because it has a TON of sentiments. It's $5 with a $50 purchase or $17.95. This set is a workhorse. I'd pay the full price for a set of matching sentiments like this. Either way, it's only available for the Month of April 2015. Did you see that this stamp set says "Happy Mother's Day."? That's one of the sentiments that I'll be using on the inside of this card. I created this card on my Cricut Explore. Here's the Cricut Design Space File. Please use this design for your personal/workshop use, not for selling kits or cards. You will need Art Philosophy and Artfully Sent to create this card. I did modify the design quite a bit. I changed it so the card base is Glacier cardstock by slicing and hiding contours. Only the front will be cut from the Blossom B&T paper so it's easier to write on the inside. There's also a little flower and leaves for the inside of the card. I cut the stems off of the leaves just to save on paper. I'm linking this post up with this week's Color My Heart Color Dare Challenge # 138 because it features the colors of the Blossom paper pack. Hop on over there to see other creations. Last chance for an Advent Calendar! Here's your last chance to create the Advent Calendar workshop! The My Creations Cubby is on the While Supplies Last list so I don't know how much longer it will be available. With that, I'm holding one more workshop on Friday, July 31st at 6:30 pm at my home in Everett, WA. Contact me to RSVP by email or by Facebook to attend. RSVP with payment no later than 7/1. I cannot guarantee the availability of these cubbies so please RSVP with a $15 deposit as soon as you can. I'll go ahead and purchase it now. Cost is $40 for the workshop, including adhesives and basic embellishments. If you have a cubby already, your fee can be reduced. I can also ship your kit for $5. Are you a CTMH Consultant? I have great news! I have a full color workshop guide and cutting files for you. They've just been updated to include a Cricut Design Space for the Cricut Explore as well as Cricut Craft Room Files for earlier Cricut machines. You'll be able to create this workshop for yourself and your customers with ease. A workshop release is included. All files are electronic and can be purchased by consultants and customers world-wide. The cost is $8.00 USD. 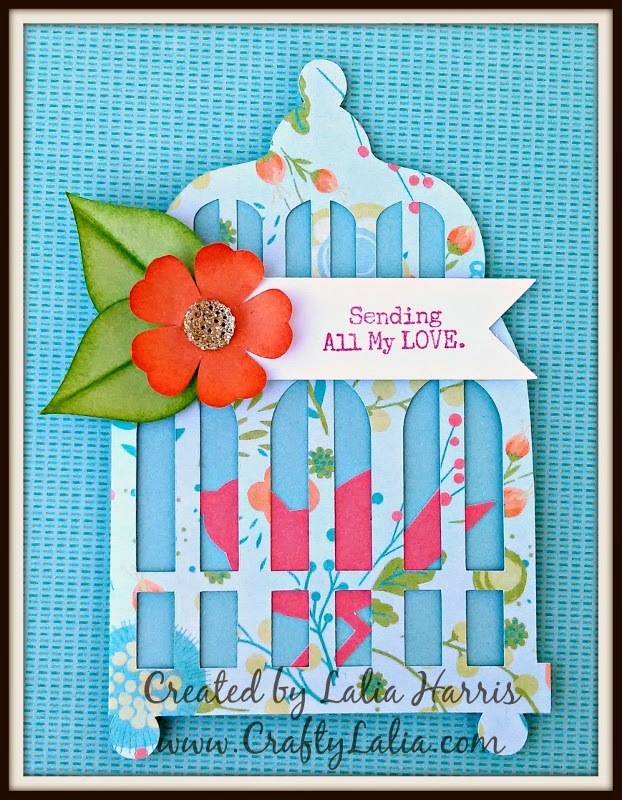 CTMH Artiste & Art Philosophy Cricut Cartridges are required for this project. To see more info about the Advent Calendar see my earlier posts. 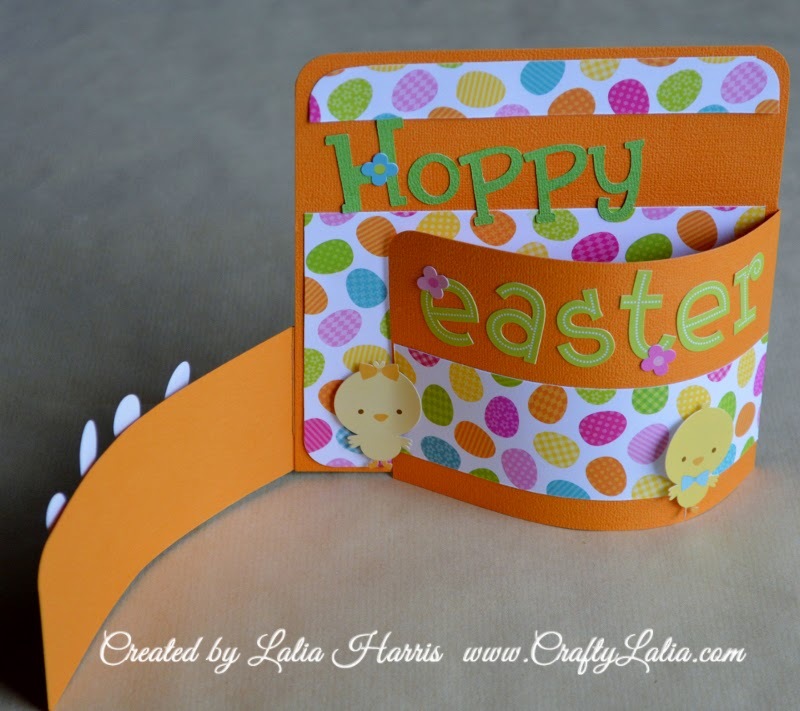 Easter is right upon us and I've forgotten to post the adorable cards I made early last month. These cute cards each deserve their own post but I don't want to delay getting them up on my blog any longer. 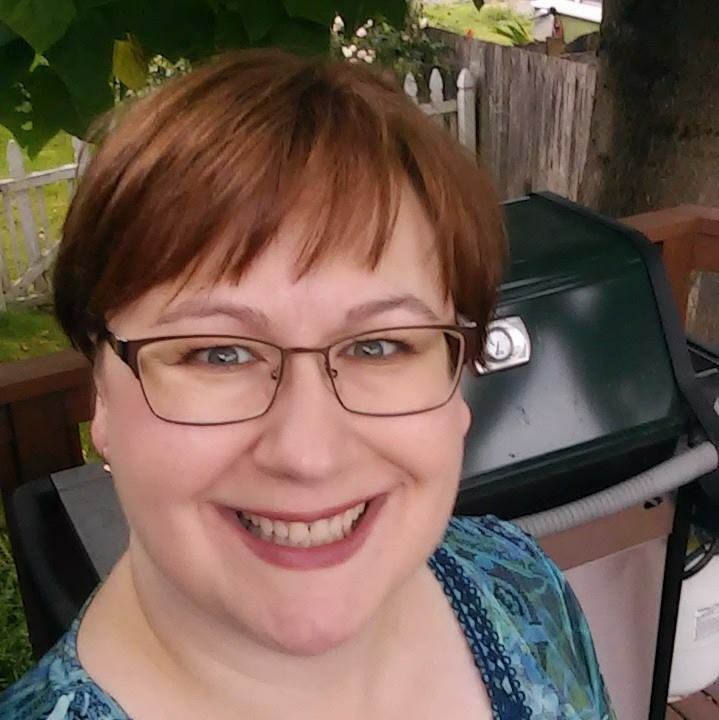 I have been teaching my Seasonal Sampler workshop at Lila's Scrapbooking & More, my local scrapbook store here in Everett. With tons of Close to My Heart products in my stash and new product coming every few months, I'm hardly tempted. But I'm a sucker for cute chicks, lambs and bunnies. To compromise, I created 3 cards for Lila to showcase in her store during the Northwest Paper Chase which ended last weekend. 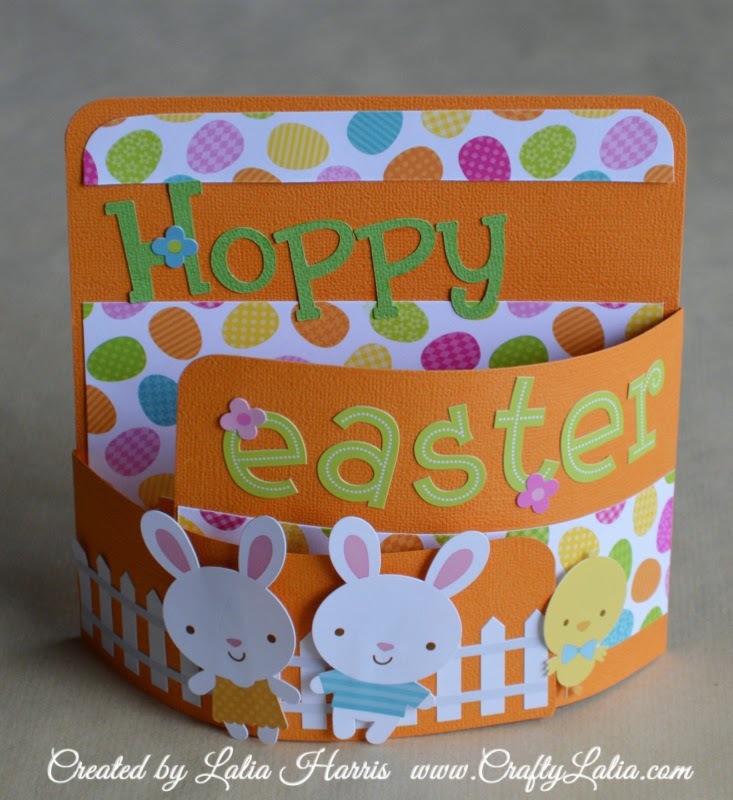 The paper, including the cardstock is from Doodlebug Design. It's the Easter Parade design. As of this afternoon, Lila still had a few more sticker sheets and a bit more of paper in stock. These cards were so easy to make. Lots of vibrant paper, a little bit of cutting and no fussy cutting! No stamping and only 1 Cricut cut. My main tool was the paper trimmer! Here's the first card in a box I created. When folded, it's 5.x5" square. You can make these cards any size. As with my samplers, I used corn starch on the back of the stickers to make them a simple die-cut. Here's a top view. You can tell that this box will fold flat. 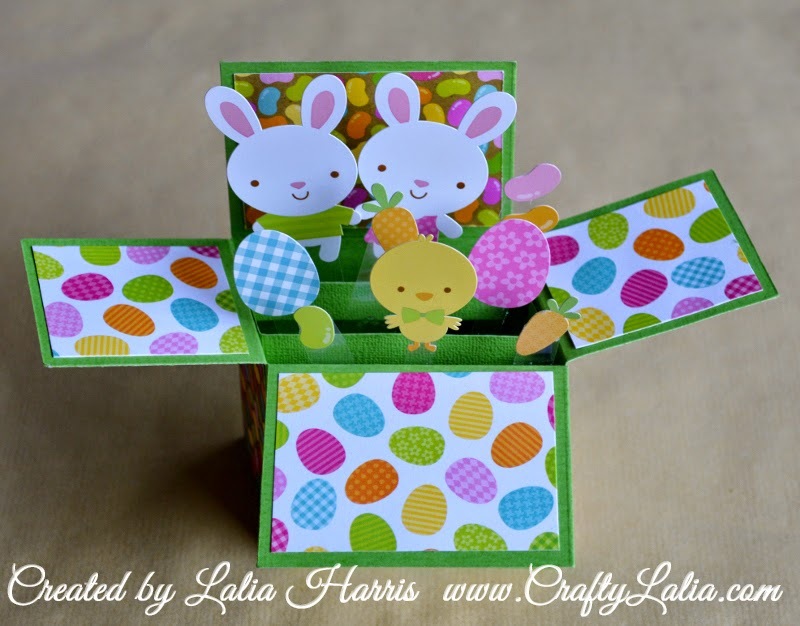 Box Card #2 featured 2 lambs and the birds. I inked the edges of all of my cardstock pieces with Desert Sand CTMH Exclusive Inks. My favorite is the bendi or bendy card. They're really quite simple and don't require any more paper than a single fold card. Here's the original tutorial from Splitcoast Stampers. My card is 5.5" square. They can be any size you want. 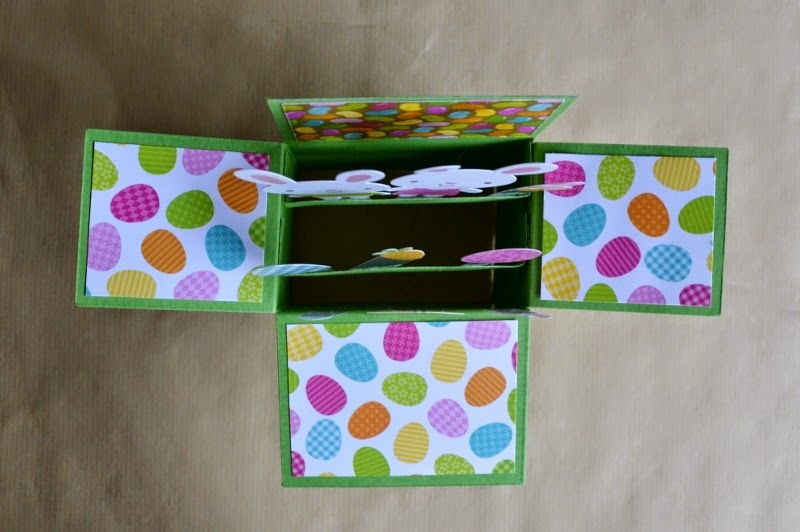 Start with the envelope you want to use and scale it down from there. Instead of cutting a slot for each "arm" of the card to slide into, I used my embellishments and 3D Foam Tape to hold the arm. You can see the chicks are doing the "work." This one is even bent a little. The word "Easter" was part of the stickers. 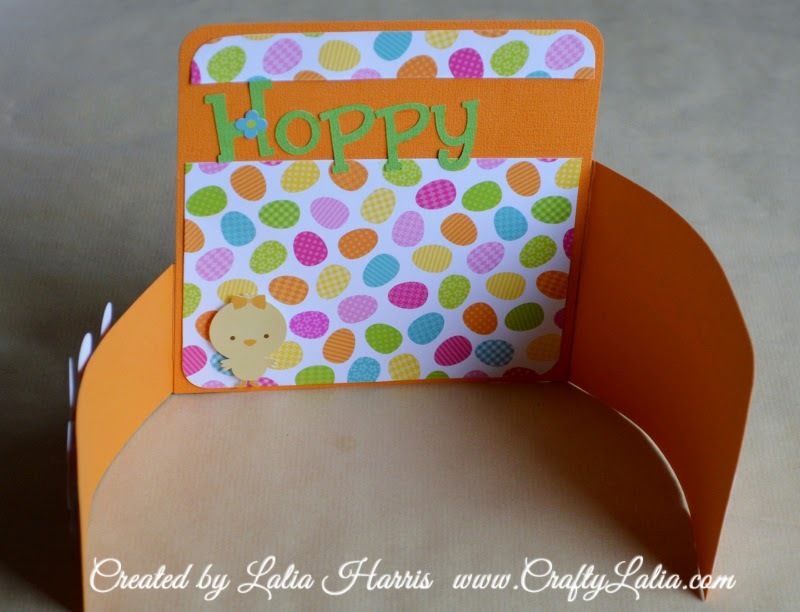 I used the old Cricut Cartridge Cuttin' Up to cut the word "Hoppy." I'm working on more bendi cards this week, with the new Blossom paper that is new on my website as of today!